Place ingredients in a Vitamix. Start whirring on low speed gradually increasing to high, then flip the switch onto max speed. 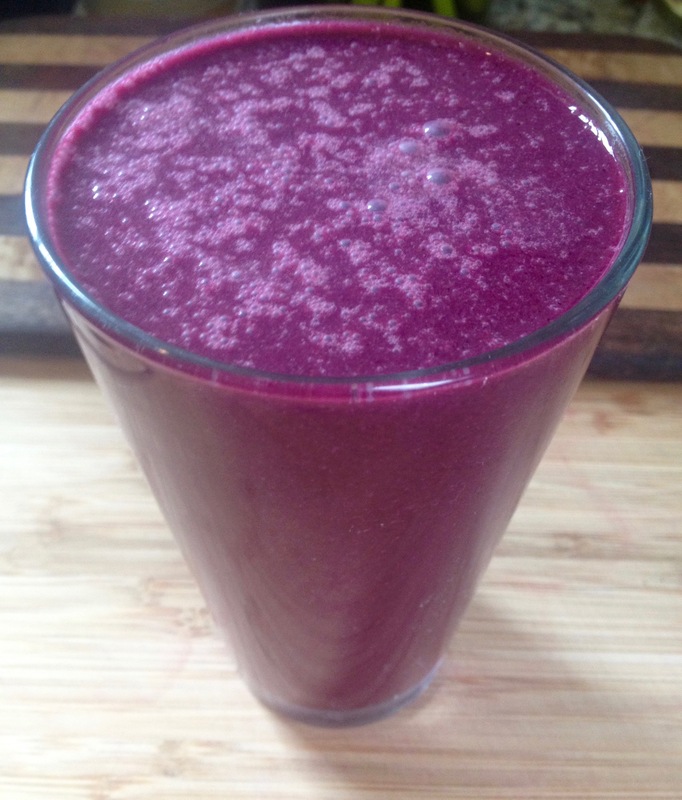 Let Vitamix run for 30 seconds to 1 minute until beet and flax seed are pulverized and drink is smooth. Pour into a pint glass. To aid in digestion, swish each sip (or gulp) of the smoothie in your mouth for 5 seconds before swallowing.